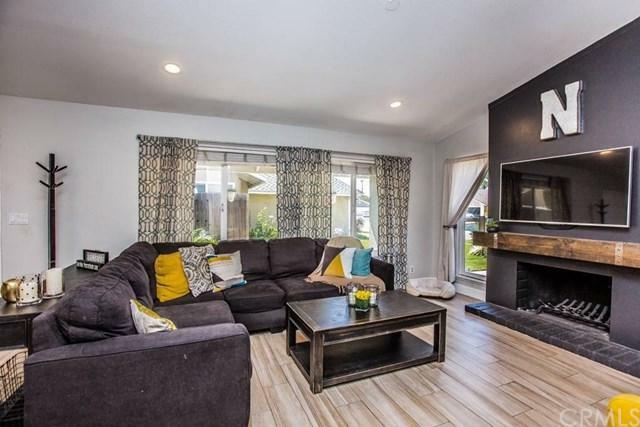 Welcome to this wonderful single-story remodeled home on a cul de sac in Anaheim Hills. Pulling into this quaint street you know you have found the right home. Entering the living space of the home you are greeted by great natural lighting, vaulted ceilings, recessed lighting, and a welcoming fireplace. The living room flows nicely into the large dining area and kitchen area, creating that grand open floor plan. 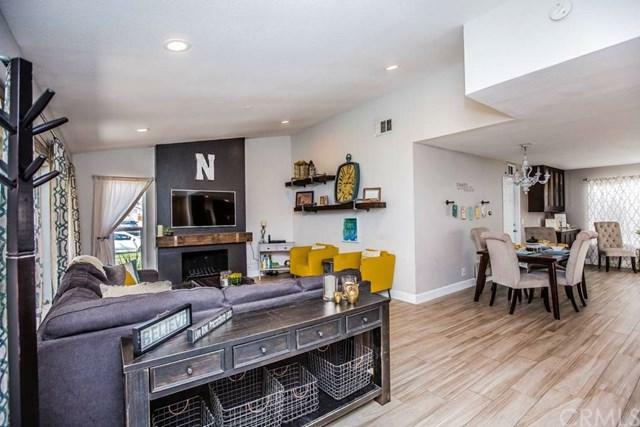 The remodeled kitchen features quartz counters and bar top, stainless steel appliances, custom Welcome to this wonderful single-story remodeled home on a cul de sac in Anaheim Hills. Pulling into this quaint street you know you have found the right home. Entering the living space of the home you are greeted by great natural lighting, vaulted ceilings, recessed lighting, and a welcoming fireplace. The living room flows nicely into the large dining area and kitchen area, creating that grand open floor plan. The remodeled kitchen features quartz counters and bar top, stainless steel appliances, custom cabinets, mosaic backsplash, recessed lighting, and a walk-in pantry. Down the hallway, you will find the spectacular master bedroom with a sliding barn door and ceiling fan. The master bathroom features a remodeled walk-in shower with sliding glass barn door and chic vanity and features. Two additional bedrooms with ceiling fans and a remodeled full guest bathroom. Continuing outside to the backyard you have an extended covered patio with ceiling fans for those warm days and a refreshing sparkling pool and spa. Two car garage with direct access into the home, along with epoxy flooring and finished walls. 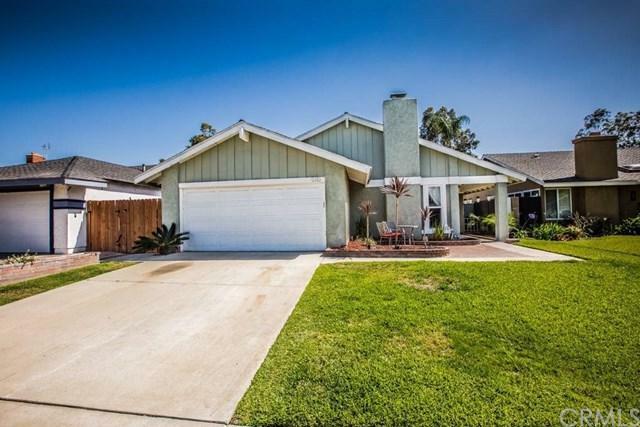 This fantastic home features a newer HVAC system, wood-like tile flooring throughout the home, double pane windows, and much more. 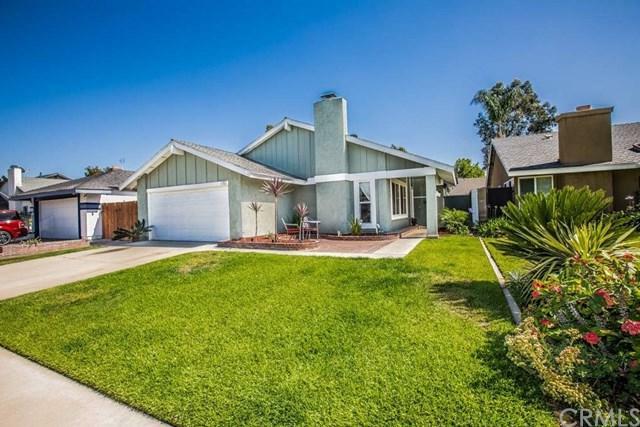 All within a short distance to great schools, parks, shopping, and restaurants.